Learn the good, bad, ugly and hilarious of running a restaurant that happens to be tiny and mobile. From marketing and farmer relations to just remembering where you put the spatula, everyone in the industry (and beyond) can learn from these savvy entrepreneurs. 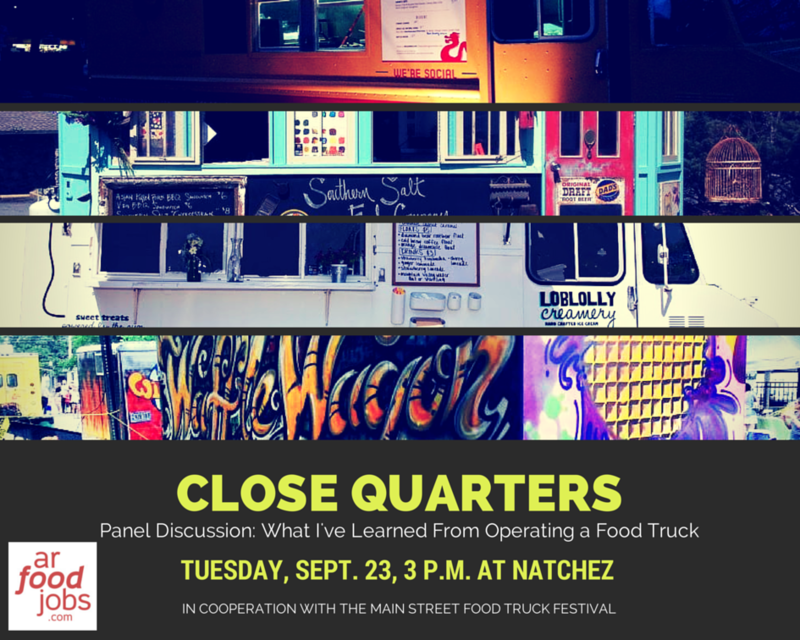 This panel discussion will be held at Natchez Restaurant, 4th and Center Streets in downtown Little Rock at 3 p.m. This event is in cooperation with the Downtown Little Rock Partnership’s Main Street Food Truck Festival. Tuesday, Sept. 23, 3 p.m.